2018 was quite a year for the markets – did you time your trades and collect profits before the markets corrected? 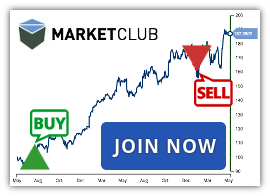 With MarketClub’s trading tools, timing and analyzing your trades has never been easier. If you decide to stay after your trial period, you’ll lock in a 20% discount on your membership fee. Don’t wait, this offer expires at the end of the year!